Can you imagine a house without a single plant in it? A place that doesn’t have any trace of Mother Nature is likely to feel less of a comfortable or warm place. A flower or a potted shrub instantly adds life to any space and makes it look more welcoming. As such, no home should be without it. There are various ways of incorporating plants wonderfully into your residence. You can place potted ones in certain areas in and around your house. You can also dedicate specific places for such greenery. Don’t have much space for them? Why don’t you install a pergola where you can cultivate lovely blooms and have extra floor space for entertaining family and friends? If you don’t consider yourself much of a green thumb, there are low-maintenance pre-potted plants that you can buy for your home improvement endeavour. All you have to do is make sure they are watered regularly, receiving enough light, and trimmed of stray stems, leaves, or branches once in a while. Your pergola designs shouldn’t be heavily dependent on the addition of plants. If you are unable to devote as much time to tending to flowers or saplings, or are still new to gardening, you can add a limited number of potted plants and complement them with other nature elements and decorations. You can, for example, get a bamboo-based adornment that you can place in the corners of your outdoor extension. You can also make use of driftwood, decorative stones, and a garden fountain to create a delightful green and shaded haven just right outside your house. These items don’t need tending and will only need a bit of cleaning and polishing every now and then. If you want your pergola to be a showcase of your mastery in things horticultural, use more plants. You can cover the open-type roofing of your pergola with at least 2 kinds of vines that flower at different times of the year so that you have something blooming above you in almost all seasons. You can also decorate your home extension based on a specific theme. Why don’t you dare do an exotic one? This is a great way to add interest to your residence and add some cultural flavor to it without having to spend a small fortune in remodeling some other part of your Melbourne house. You can use a Japanese theme or a Mediterranean one, for example. Growing fruit trees or herbs is also a good idea. It also allows you to enjoy a natural treat or two without having to pay for it or step out of your home. Pick varieties that are suitable to the climate in your area. Aside from selecting the right plants and decorations, you also should be careful about deciding which pergola type you should use. If you want some assistance in this home improvement matter, consult experienced pergola installers. Strong Life has been in the industry of installing patios, verandahs, and pergolas for many years now. To get a FREE Quote on having one added to your own home, call 03 9310 4455 now! 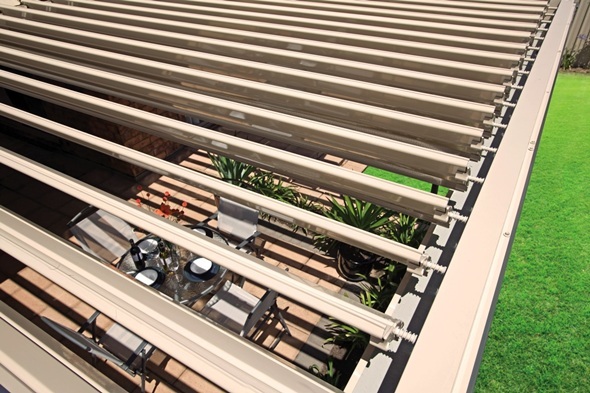 Imagine being able to have a verandah with a sunroof inserted into it, how those first Australians of years ago would have envied our inventions. This clever use of our sunroof can provide the best of both worlds, full sun or shade when you want it all with the touch of a button. Free Patio Heaters with every installation!!! Pergolas are a great way to enjoy the great outdoors in Melbourne. If you have been looking for a way to beautify your garden and a quiet space for relaxation, installing a pergola is the answer. Pergolas offer a range of other benefits to both enrich your experience outdoors and add value to your home. Adding a pergola to your home can increase the amount of liveable space in your home. Pergolas can effectively function as a living room, complete with couches, a dining area, kitchen and television – perfect for hosting guests. When choosing pergola styles consider the material you want, colours and shape flat, curved and diagonal pergolas are the popular choices. You can leave the beams open or add shade cloth for protection from the elements. By choosing to have a contractor install your pergola you give yourself access to professional guidance and you don’t have to worry about buying the correct materials, tools, safety and a range of other serious concerns. With a contractor you can rest easy that the pergola installation will not go over budget, will be completed on time and that you can get it to suite the look of your home. You can still add personal touches when having a contractor install your pergola. At Stronglife we know how to create a unique and beautiful pergola for your home, completed on time and within your budget. 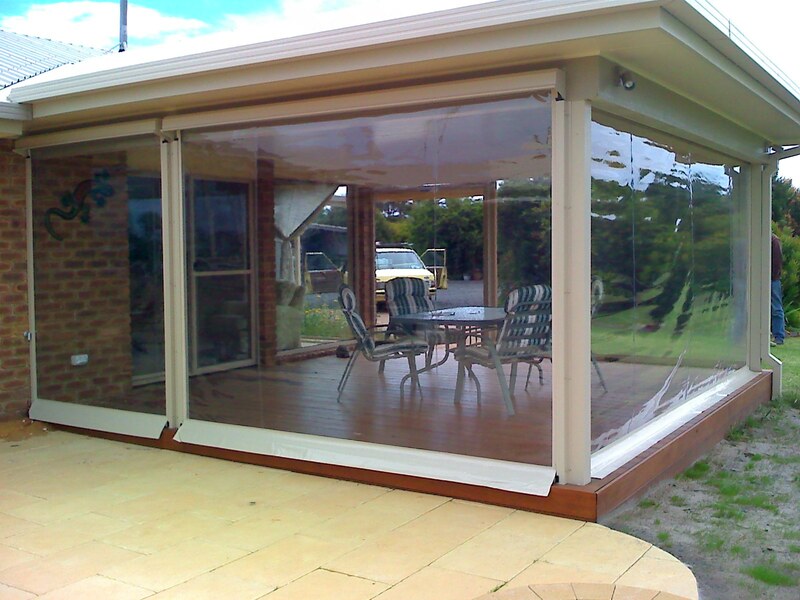 For a FREE QUOTE or additional advice call Stronglife Patios and Carports on (03) 9310 445 today! Finding the right design of Pergola to suite your home can be a daunting choice. The first step is to seek advice on the benefits of each style from an experienced design consultant so that you can feel comfortable that it’s a match for your home. 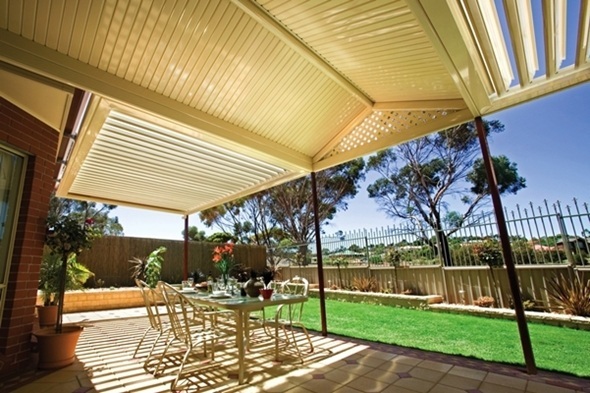 The most common styles of Pergola are Flat (skillion) roof and Pitched (Gable) roof. 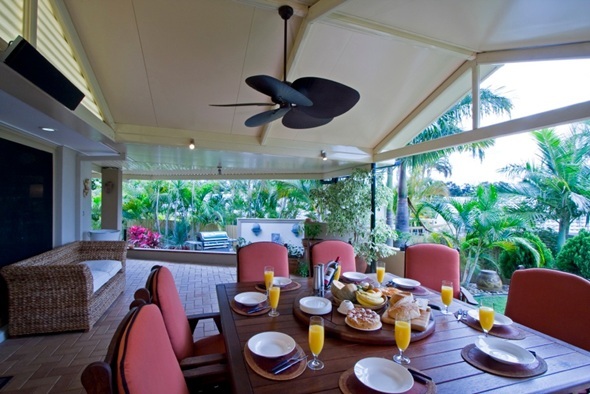 Skillion style roofs are the most common roof type for pergolas. 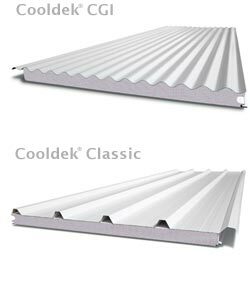 They are particularly well suited to narrow areas that extend around corners. Gable or pitched style is well suited to wide areas where you want to create a sense of space. It will be a permanent fixture in your home that you can enjoy for decades. It is a major investment to add to your home. Get it done professionally and it will pay off, mistakes can be costly. Budget carefully for your project and consider it is in line with council regulations. A pergola can be an interesting feature to add to an otherwise plain backyard. It can help block out unsightly views in your surroundings. At Stronglife Patios and Carports Melbourne we know what it means to create the perfect lifestyle in your home, completed on time and within your budget. For a FREE QUOTE Call Stronglife Patios and Carports on (03) 9310 445 today! A Patio or a Pergola, what’s the difference? The main difference between Patios and Pergolas lies in the materials used in their construction. Essentially Patios are made from steel which is strong and long lasting. Alternatively, pergolas are made from treated timber and while they are durable, they can require more ongoing maintenance due to their exposure to the elements of the harsh Australian climate. Both Patios and Pergolas are solid structures with internal or walled supports. A pergola is sturdy in nature because it will be held up by at least four supports, however because it is built out of timber it also provides a more natural aesthetic for your home. Pergola roofing comes in many varieties, and provides additional choice and freedom when designing the outdoor entertaining area of your home. Pergola timber can be stained to keep a more natural appearance, or painted to match the colours of your home. Being a natural product, from time to time your pergola may require maintenance in the form of sealing with oil or repainting weather worn areas. If maintained properly a solid wooden pergola will last a very long time. While a patio is similar in design to a pergola, it is a much sturdier construction. If you prefer a ‘no maintenance’ outdoor solution, then a steel patio can offer you that. Combined with it’s strong, maintenance free design; steel patios also come in a variety of different colours, which again, assist you in designing an outdoor entertaining area that blends in with the aesthetics of your home. Similar to a pergola; patios roofing comes in many different colours and styles including adjustable sun roofs which allow you to control the light within your outdoor area. Before deciding on the type of outdoor entertainment area you want to build you must take into consideration your budget, and the type of things you want to use it for. For example, If you want to entertain a lot, and love the sun, but live in an area prone to rainfall, then you may want to consider an option that allows you to control the opening and closing of the roof, so you can enjoy the sun when it is shining, but protect your guests from the wet and still enjoy your outdoor area all year round. If space is your issue then a small, wooden patio might be a better option for you. Patios and pergolas are the most common outdoor entertaining area styles, however there are many other design options you can choose from. If you are on a limited budget then you might consider having an awning installed, which can be a cheap way of covering an outdoor area, or a starting point for your outdoor area if you’re not ready to fully upgrade your outdoor area. Whichever option you choose, improving your outdoor entertaining area with a patio, pergola or other solution will greatly increase the enjoyment you currently experience using the outdoor area of your home. You can entertain rain, hail or shine, keep your pets sheltered (but outside! ), or even create an exotic patio garden with indoor plants that you can now use outdoors!